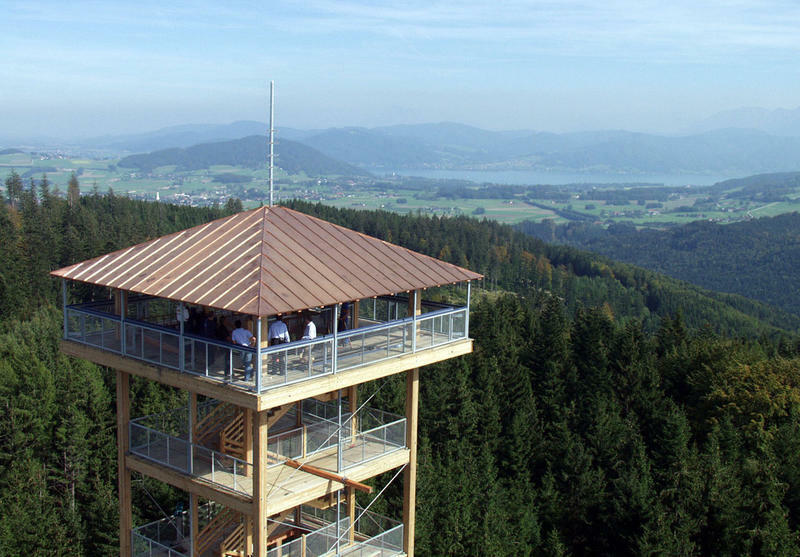 Farsightedness is the argument for those who choose to make a hike or a tour to the Lichtenberg and climp up the Attergauer viewing Tower. 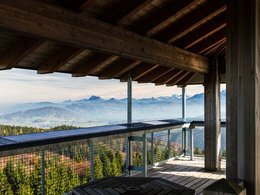 ​After 208 steps and 36 metres in height your reward will be a breathtaking view of the Salzkammergut. 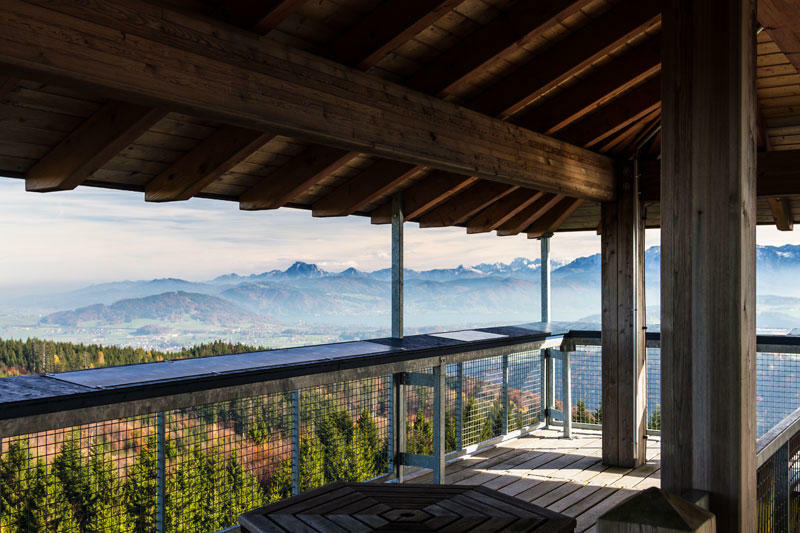 Enjoy the amazing panorama view from 884 m. above sea level, from the Traunstein mountain, the Höllen mountaine range, Lake Attersee, to the Dachstein and much more. 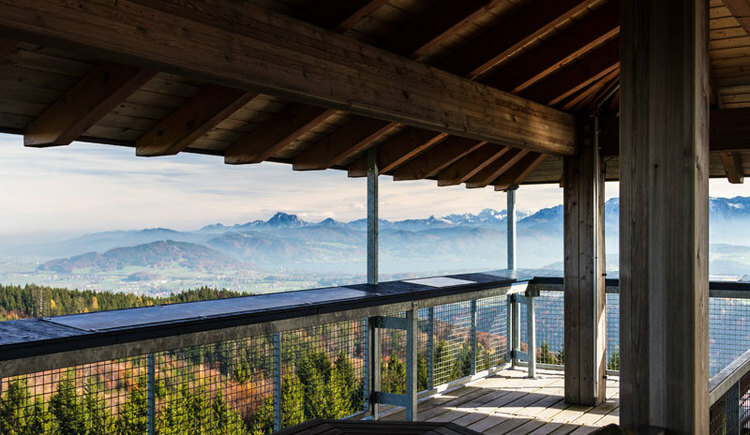 Explore the highest point of the Attergau even on cloudy or foggy days because on the Lichtenberg mountain the sun almost always shines. 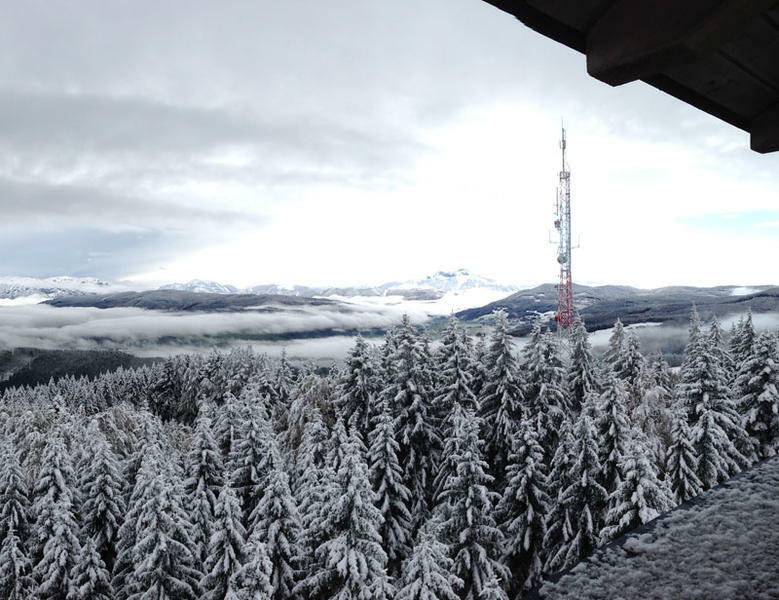 For those who want to enjoy the magnificent panorama view at home, we recommend you our Lichtenberg Webcam. 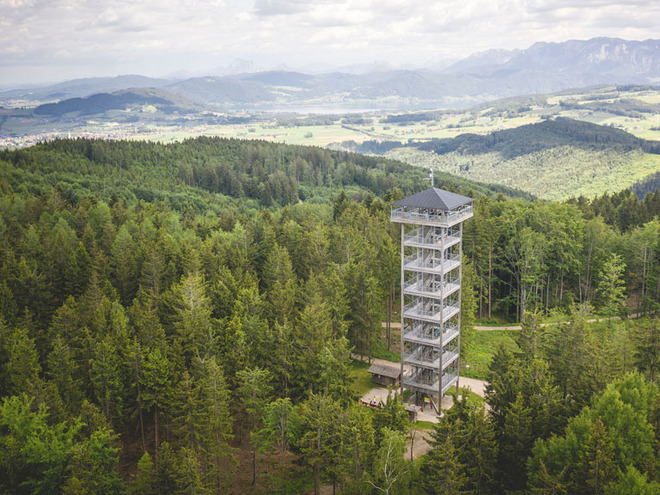 By the way, coaches can easily drive up to the viewing Tower on the Lichtenberg and find a parking area for buses directly at the Berggasthof Danter. 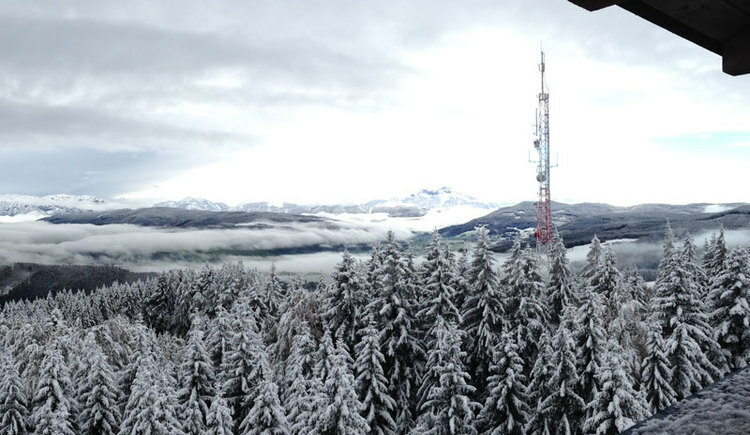 From there it is a 10 minutes walk to the Attergauer Tower. 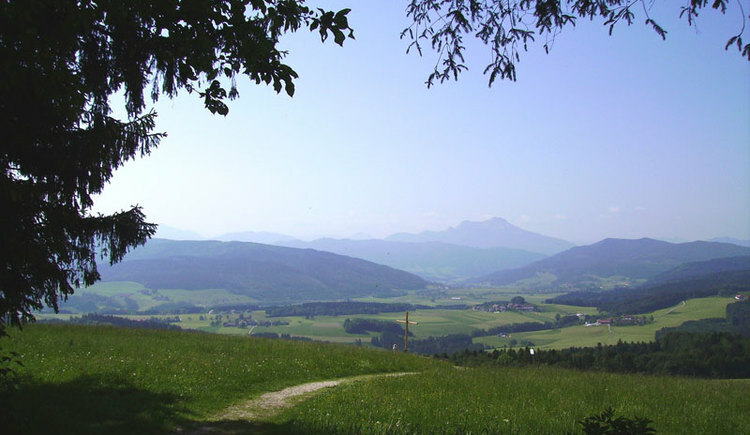 ​Berggasthof Danter, just 700 metres from the Tower, is the ideal place for a snack or a coffee stop. 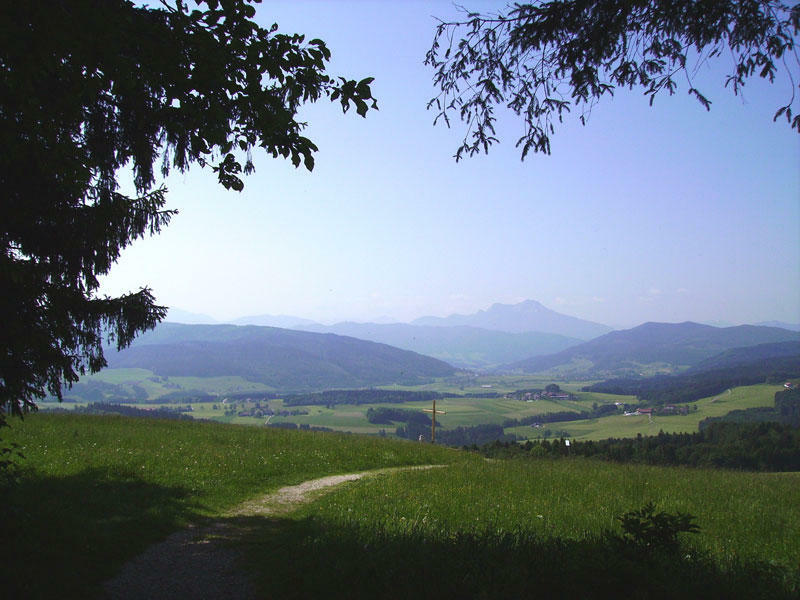 If you wish to continue hiking we recommend the round tour of the Lichtenberg. 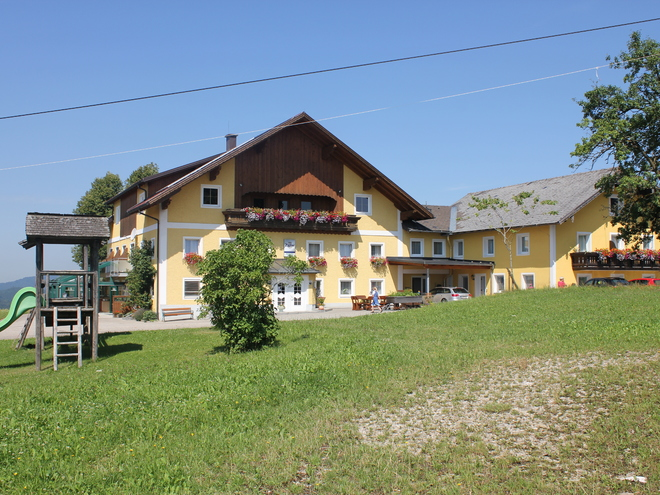 Start and finish point is the parking place (Attergauer Aussichtsturm). 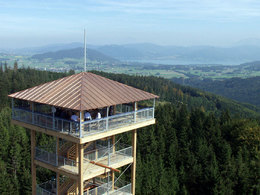 The round trip Lichtenberg takes around 1 hour. 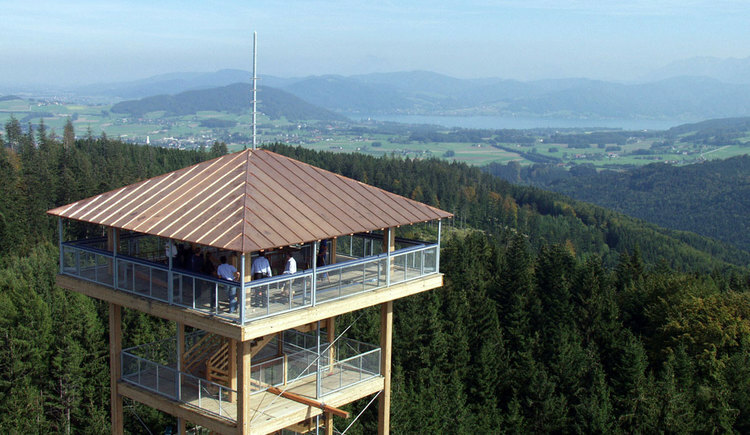 Get free information brochures in the tourist Office Attergau in St.Georgen!